Want to see what an air source heat pump might look like in your home? Come to our air source heat pump open house. Throughout May, HeatSmart CCL will be hosting open houses at the residences of community members who have graciously offered to talk about their experience with clean heating and cooling and show you what their system looks like in their homes. 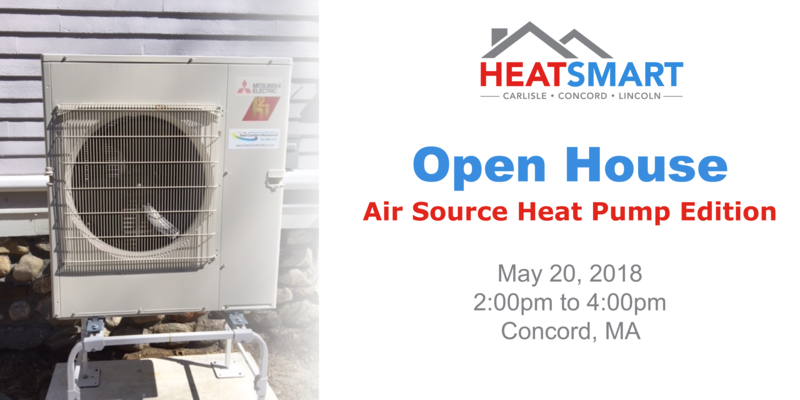 The air source heat pump edition of the open house will be held in Concord on Sunday, May 20 from 2:00pm to 4:00pm. Our air source heat pump installer, New England Ductless, will also be present to answer questions. Please RSVP to get directions to this open house.